I did not plan to buy many things at Gen Con; the cost of flying to Indianapolis and staying at a hotel were expensive enough. I went into the convention center with a mindset to avoid purchasing all the things I would – of course – want to buy. The only other thing I wanted to buy at Gen Con was a set of dice. One can never have enough dice! My love/hate relationship with my dice has led me to engage in troubling behavior. I have learned though online osmosis about GameScience Dice and figured they would have a booth at Gen Con. I shuffled over to their booth and got lost in the rows of pretty dice. I finally decided on a set of orange and black dice (the colors of my favorite hockey team). I was happy, I bought my first set of GameScience Dice and those would be “My First Gen Con” dice. However, a gentleman on Twitter – and who I met at the show a day earlier – commented that he ruined one of his GameScience dice when filing away an imperfection. I opened up the plastic box holding the die and – sure enough – each of them had a rough edge or some other type of flaw that would need to be sanded or filed down. On top of that, I realized he d20 was an old-school model with two sets of numbers that went from 1-0 with no teen numbers. There would be no way to tell if any given number was above or below 10. I was seven kinds of frustrated by these developments! Below, I discuss my (probably too strong) opinions about different brands of dice, my irritation while shopping for dice at Gen Con and my idea for how to fix the GameScience Dice problem. Because I would really love to say I have empirically validated dice! After processing the information that I had just spent $15 on a set of dice that were either unreadable or otherwise unusable without modification, I turned the box over and discovered the disclaimer on the label. The label explained there are imperfections in each die from the way they are made that require the buyer’s attention to fix through sanding down the rough spots. I had been wandering around a crowded exhibit hall for an hour or two and was boggled by how a company selling “Precision Dice” requires the buyer to “fix” each die to make it useable. I obviously should have read the box first or done some research on how the dice worked . . . although I think my assumption that I was buying a “finished” product was sound. I went back to the GameScience booth and inquired about the set and was told I could exchange them for something else. I want to be clear that the staff working the booth were quite helpful and told me they would file down the rough spots after I found a set I liked. Still, there was a bit of incredulousness regarding my inquiries about the imperfections in the dice. The feeling I got is that I should have known this was the case with GameScience Dice. I searched for another set that I liked and could not find a complete set of any given color I liked. The black d6s and d20s were gone. The orange d6s were sold out. I settled on a different style of orange dice that did not have ink in the numbers yet. The Game Science staff members were busy inking die for many people who bought them because most of the dice sets there were not inked. 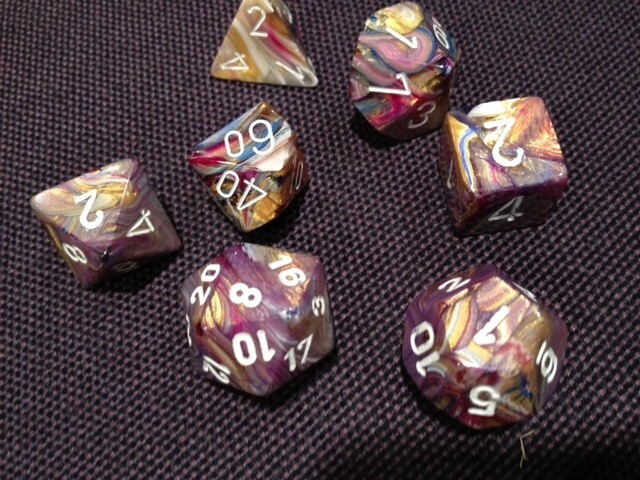 There was an additional fee to have the uninked dice inked in a custom color the buyer selected; this fed in to my “I’m not buying a finished product” frustration. As I went to exchange one set of dice for another, I was informed the line to ink and sand the die was too long and they would not be able to complete it until the next day. Considering it was Saturday and I was leaving Sunday morning, I just shrugged my shoulders and asked for my money back. I could tell the staff member was a bit confused about my actions. I imagined he was thinking, “What is this guy? Clueless? These are GameScience Dice and they are a treasure.” He is correct; I am clueless about GameScience Dice! If I’m going to spend $15 on one set of dice, the only thing I should need to do is open up the package and roll them. Considering I would likely screw them up by sanding them incorrectly, which would obviously destroy the concept of “precision,” the whole thing was irritating. Plus it had been about six hours since I ate and the food trucks outside were screaming my name! My first ever Gen Con dice! Everyone at the GameScience Dice booth was professional and quite polite. I can only imagine what it is like to work a booth like that at the show as thousands of people are flowing in, out and around the store at all times. I was given a full refund, and I ambled over to the Chessex booth and bought a joyful set of dice appropriately titled Festive. I don’t know if Chessex dice are “precision” but they look cool and I don’t have to file them down with sandpaper to make them useable! I already own seven or eight sets of Chessex dice, which is one reason I wanted to branch out to buy GameScience Dice. Drow d12 from Gen Con. I have attempted to use Q-Workshop Dice but I find the rolling action odd. It seems to bounce around on a table and suddenly stop. Something about it seems off. I realize the previous two sentences may sound absurd! It was certainly fun to score most of the special Dungeons & Dragons Gen Con Drow Dice Set; I would not use them at the table but they are pretty. I still want a set of dice that have been rigorous tested to be “perfectly random” and it seems that GameScience has the strongest claim to that title. However, I find it slightly ridiculous that the buyer has to modify something marketed with the word “precision.” Not one to simply complain about a topic, I investigated what could be accomplished to solved the problem and I believe I have found a solution. set. We might offer finished dice sets in the future for an additional cost. A premium line, if you will. That struck me as an extremely honest response; I imagine any dice company does not have that kind of capital to change the way they have made their product for many years. But recent events make me think there is a way for them to improve their product through the support of customers and people who really want to have great precision dice. Kickstarter is a great fundraising mechanism for just about anything, but I think that Reaper discovered that it is absolutely perfect for miniatures. Because Kickstarter works best when you’re dealing with something that is costly to initiate, and then cheap to produce. Which is exactly how miniatures production works. With miniatures (and I’m making up numbers here, just to illustrate the point), the sculpting and the mold-making is what’s expensive, not the miniature itself. Which means that the first miniature costs $10,000 to make, but the second one costs 10 cents. Another way to look at that would be that it costs $10,000.10 to make one. $5000.10 each to make two. $2500.10 each to make four, and so on until, once you’re making thousands of them, the minis cost just a few cents each. Could you not edit the above quote to replace miniatures with dice? It seems GameScience Dice would need 100K (but let’s say 200K just to be safe) to create new molds to ensure that all of the dice they make not only produce perfectly random results but also do not require buyers to sand or file them down. If Reaper can generate 3.5 million dollars to extend their line of miniatures, I see no reason why GameScience (or anyone else for that matter) could not initiate a Kickstarter to generate 250 thousand dollars to create the best dice possible. 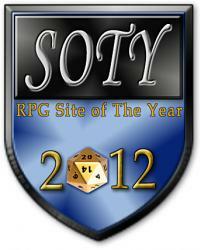 This entry was posted in Gen Con and tagged Chessex, Dice, GameScience Dice, Gaming, Kickstarter, Q-Workshop. Bookmark the permalink. The dice I usually game with are just solid-color Chessex dice that I have in white, black, red, and grey. They’re pretty boring to look at, but they numbers are always easy to read. Despite that, my dice purchase at Gen Con was a set of nuclear dice from Q-Workshop that I’ll be using whenever I play Gamma World from now on. I haven’t noticed anything funny about how they roll, but now I’m going to have to go compare them against some of my other dice. After about 10 years of not buying a new set (save sets of all d6s) I realized I was now missing at least 1 die from every set that I had. So I went looking and found the GameScience dice and realized that my oldest current set, one of my favorites, was the same mold-type. But since it had been over 10 years since I bought them I figured, with a name like “GameScience” and using the descriptive term “precision” then the whole rough-spot/mold-clipping would have been taken care of. Even then I searched around and found several instances of “a bit of sanding needed” so I figured what the heck. I purchased 4 sets of un-inked (I didn’t really mind the un-inked part as it’s a bit of nostalgia for my stolen set from my D&D Basic red and blue box sets which had to be “inked” and by “inked” I mean crayons) and a box of crayons. I was still disappointed to see how large the imperfections were in the precision dice. I used a finger-nail file to smooth them down a bit, but not as much as I’d like as any minor angle adjustment in my filing would scratch the surface…and I bought them for their pretty gem-like surfaces, dagnabbit! But in the end, even with the not quite perfect removal of the imperfections, I performed a chi-squared test on the d20’s and all rolled fair (500+ rolls for each per test). So yeah…Kickstarter to get better molds. I hate the rounded edges of other dice…I like risking severing a finger when I grab one of the GameScience dice…I use the detached digits and spilled blood as props for downed NPCs and when the PCs get bloodied! For the record, I don’t currently own any Game Science dice yet myself – it’s just that I remember seeing these videos a few months back and, personally, it gave me a bit of a different perspective. For me, the concept of a precise die sounds great, but is unlikely to be an actual issue. 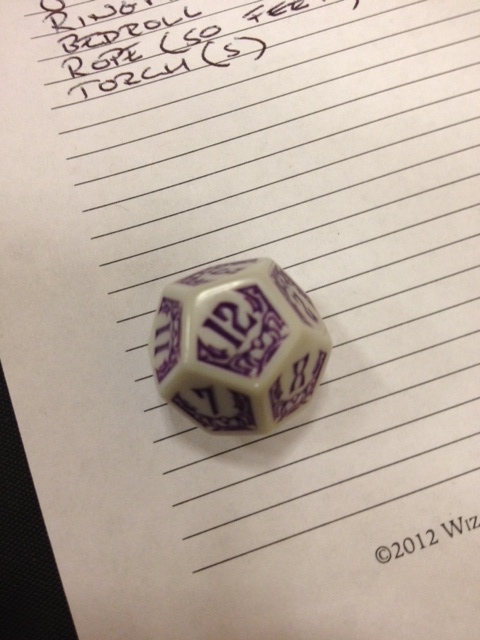 Maybe my d20 is a tiny bit less likely to roll an 8 and a 12… am I really worse off for it? Check with most gamers and they’re too busy having fun to stop and analyze percentages… and if the tiny precision drop isn’t stopping fun, what are we doing it for? Add in issues like filing down mold lines or how happy you are (or not) about the look of the dice and you can truly be better off with less precise dice. Ultimately, it is up to you. If you really value a proper mathematical distribution, then it may make sense to buy a set. I’ve seen lots of dice at my table over many years and I’m far more inclined that a person has bad luck than dice being bad (as I watch them play the same way despite switching dice many times). If you prefer the look of the angular Game Science dice or prefer the look of Chessex then that can be a great reason to buy one way or another. Also for the record, I forgive Mr. Zocchi for his repeated use of “dice” even when referring to the singular, though I’m usually (albeit, at least a little bit jokingly) inclined to hand out “wandering damage” to gamers who use the word “dice” to refer to a singular unit, haha! I’ve actually never found the mold mark to be a problem of any sort on Gamescience dice. If it affects the rolling at all, I’ve never noticed it. Alas, you went with about the only color that has a 0-9 twice d20 in the set; most of them do come with a normal modern d20. Although the Kickstarter idea is fabulous. I only bought one set of dice this year as well, the set matching the Gen Con die. Odd since I actually really dislike using Crystal Caste dice, never figured out why I don’t like their dice. Had some annoyance there too, the d8 doesn’t match the rest of them. They weren’t willing to see if another set of them had a better-matching d8 either, so bad customer service as well. Alas. I’ve got two full sets of GameScience dice, as well as a couple of spare d20s. I’ve been very happy with them over the years. The burrs initially surprised me, too, but a quick snip with hobby clippers sorted them out for me. Anyway, although I certainly get the frustration about the burrs, the few moments of effort to prep the dice are, for me, totally worth not having dice that roll much, much more fairly than other brands. I’d be in for that Kickstarter, I’ve got one set of GameScience dice, and have been thinking of getting a few more. I’d hope you’ve sent this idea to GameScience as well. I would so be down for a GameScience kickstarter. Please call them about this! It would be a Kickstarter I’d be willing to support…but then, so are many others. had the same problem with my set of gamescience dice (the numbering 0-9) to remedy to it, I inked the series of numbers to different colors, one red and one black. Its not ideal but it does the job. For inking, I used regular kids wax crayons and it works very well. Still thought it sucked to get this numbering, who uses these kind ot dice really? I’ve bought couple sets of Gamescience and never bothered to sand down the edges. Personally, I really didn’t care and don’t think that those tiny little rough parts make that much of a difference, especially since they don’t exist on the dice that I use the most. True, the fact that they come with the numbers uncolored was a bit annoying, but it’s nothing that a crayon and some rubbing couldn’t take care of. Overall, I like them because they don’t roll as much as my regular dice, and since I have 6 people at my table (including myself) I like not having my rolls tumble all over the place. Are they worth $15? Maybe not, but they certainly do the job better than any other dice set that I’ve owned.